hmm, i can’t say that i like soggy cereal although, lately i haven’t been much of a cereal eater. when i do eat cereal, i use it as a topping for yogurt or smoothie bowls. in these cases, i definitely eat it right away – i hate it when they get soggy! This is really funny. 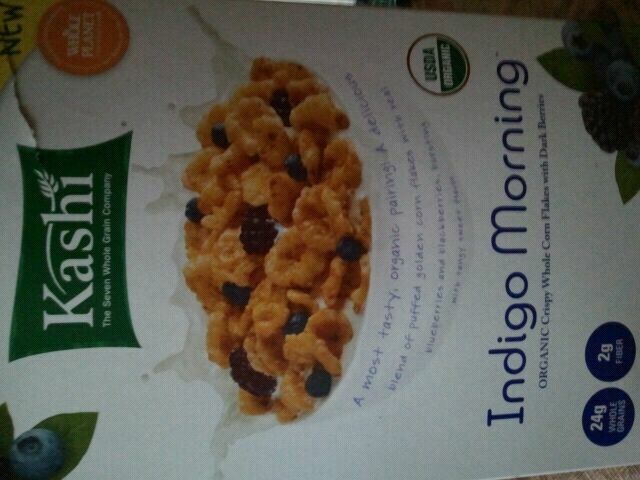 I just googled the cereal to see if I was alone in this, but my Indigo Morning has 0 berries in it. I poured the entire box into a bowl to be sure, not a single berry. I didn’t try with milk, but mixed with some yogurt instead. pretty good. 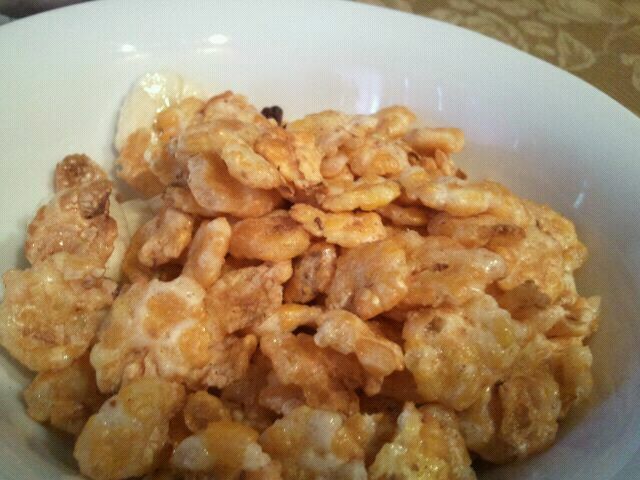 I guess some peoples taste buds are more sensitive than mine, because this was the worst cereal I have ever tried! 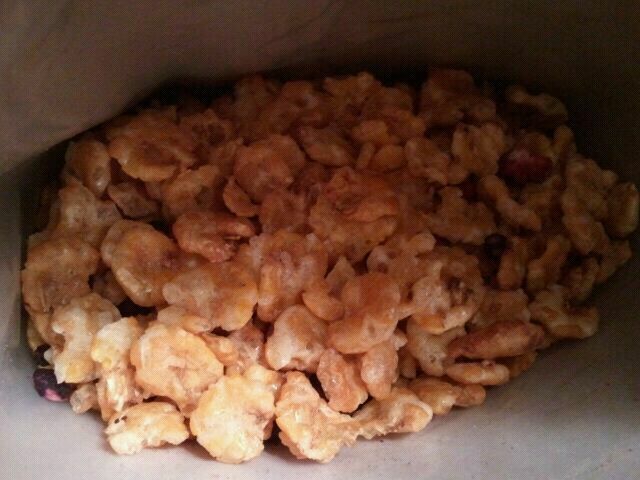 Its the first cereal I can say tastes like cardboard. And as some other people stated, there is hardly any berries in it. 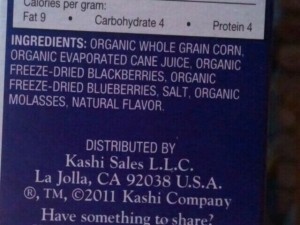 In my opinion Kashi dropped the ball on this one. hahah I agree. Not one of their better products!! I just bought this cereal the weekend – I like it. 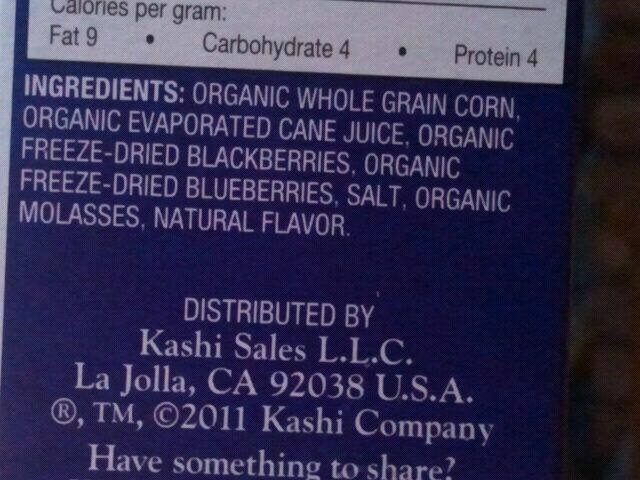 No it doesn’t have that many berries in it but that’s okay – I’m never a big fan of the dried up fruit in my cereal. I actually thought that the flakes didn’t get as soggy as say raisin bran flakes do but I don’t put much milk (almond of course) on my cereal. I think I would mix it with the Kashi U cereal to get a little more flavor though. The one I was disappointed in was Kashi’s Honey Sunshine – that tasted like styrofoam! You definitely got a bad box. It’s delicious with a good amount of berries. The berries sweeten and flavor the flakes. Every box I’ve had has enough berries to turn the milk purple. I’m sad that others aren’t as in love with it as I am. I agree, you got a bad box. 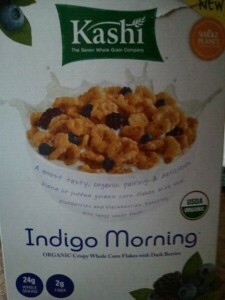 I tried this cereal today after reading all the bad reviews and I am so surprised, because this cereal is really good. I’m picky and I thought it was good! It’s perfectly sweet and I like the tartness of the berries because it’s how they are suppose to taste. Speaking of berries, there was a ton in my bowl, it even turned the milk purple. I think my box had one berry in it! The whole reason I chose this cereal was because the name and the pic on the box advertised that it would be full of berries. 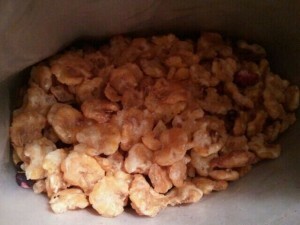 With no berries, this cereal is definitely not worth $4 for a 10-oz box! It’s very blah.